It was just 10 short months ago that the Buffalo Bills and Jacksonville Jaguars met for the AFC Wild Card Playoff game. At the time, the city of Buffalo was on a week-long high from a miracle ending of the longest postseason drought in professional sports. For the Jaguars, they were feeling the excitement of newfound relevance after years of begging for fans, blackouts and rumors of moving across the pond. While Buffalo is still buzzing (now for their other team, which is currently in 1st place in the NHL) it is stunning to think that the two teams that met in the Wild Card round last year will line up across from each other with identical 3-7 records tomorrow at New Era Field. The Bills defense ranks better in every category above. I wouldn’t have guessed that before I looked it up, but McDermott has this crew playing very good. Plus…this includes the 6 quarters of horror that the Bills started the season with, which makes these numbers even more impressive. Let’s take a look at how similar these two teams are on offense. We know that the Bills offense has been putrid. The Jaguars have lost a lot of games this year because they are asking their limited quarterback to not lose games for them (sound familiar?). Doug Marrone is coaching ultra-conservative, leaning on Leonard Fournette way too much and taking the ball out of Blake Bortles hands as much as possible. The Bills played that way with Tyrod and while they snuck into the playoffs with him, they realized that method of playing football was not sustainable, so they made a change. That change was Josh Allen and he will be making his triumphant return tomorrow. For that reason, even though the Bills and Jags come into the game with identical 3-7 records tomorrow I would much rather be the Bills, a team that has realized the method to consistently winning games does not lie in playing good defense, running the ball a million times and asking your QB to not turn the ball over. So even if the Bills lose tomorrow, you can smile knowing that the Bills brass have a better long term plan than Saint Doug and the Jaguars. 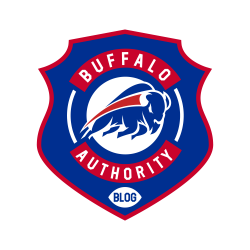 This entry was posted in Analysis, Game Previews and tagged Bills, Bills Blog, Buffalo Authority, Buffalo Authority Blog, Buffalo Bills, Jacksonville Jaguars. Bookmark the permalink.